What shall I have for lunch that will fill me up? Eggs are always filling and I have a new small cake tin tray. 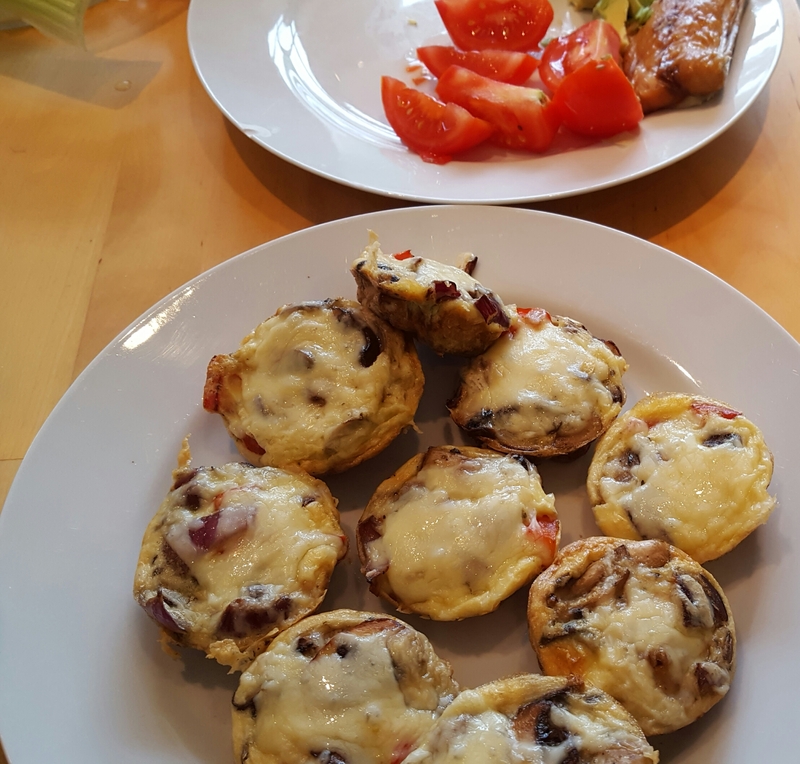 So I made some mini quiches and they are delicious, cheap and filling. Beat some eggs in a bowl. Chop a pepper, onion, mushrooms and add ground pepper and herbs. Of course, you could add some chopped veg too. Plop in the individual cake tins and fill with the egg mixture. Pop in the oven and wait for about 10 mins. Sprinkle some grated cheese on and pop back in. Delicious, healthy, filling and super easy. Enjoy with some salad. and anything else you fancy adding.